Explore Immigration – Learn about Canadian immigration, work and study permits, and how to visit. Explore Study – From planning your move, to graduation and beyond, learn all about studying in Canada. Explore Planning – Get practical information to move your belongings and plan your arrival in Canada. Explore Living – Read our in-depth city guides, and learn about driver’s licences, taxes, cell phones and more! Learn about Canadian immigration, work and study permits, and how to visit. Search for jobs, get help finding work, and read dozens of helpful advice articles. Read our in-depth city guides, and learn about driver’s licences, taxes, cell phones and more! Get practical information to plan your arrival in Canada. From planning your move, to graduation and beyond, learn all about studying in Canada. Properly caring for your vehicle in Canada goes a long way. The country’s climate can swing from one extreme to the other, with cold winters, hot summers, and long journeys taking their toll on vehicles of all types. Attentive automotive care and preparedness will reduce the level of stress and expense associated with driving — an often unavoidable but rewarding activity across Canada. Here are some key automotive tips to bear in mind when considering car care priorities in Canada. Winter driving in Canada is a topic all unto itself (and luckily, one we’ve covered!) However, there are several other seasonal concerns that all drivers in Canada should note. Washer fluid levels are a genuine safety concern for Canadian drivers. Traveling down a winter highway, a pervasive spray will fill the air — a mix of ice and salt kicked up by vehicles, mixed with fresh precipitation. This spray will quickly obscure the windshield. A liberal squirting of washer fluid will fix this issue. This is why washer fluid is often sold as an impulse purchase in many Canadian stores. The same washer fluid will be crucial when summer dust and flying insects come into contact with your car in the summer months. Remembering to keep this topped up is crucial. Experienced drivers in Canada also know that air conditioning is a lot more than an extra. Any issue with this system should be treated as a maintenance priority for an owner. In wintertime, the bone-chilling interior of a car can only be relieved by a properly functioning AC system, while in summertime, a trip of any length can turn into an endurance test without AC. Additionally, drivers should note that in summer and fall (autumn), plant matter can and will get everywhere. Wind-blown leaves and cottonwood “fluffs” can arrive in great numbers in Canadian towns, and easily blanket a vehicle. The only solution for this is regular brushing and cleaning, which will prevent decaying plant matter from staining paintwork or clogging intakes. An inside parking space is the only real way to shield your vehicle entirely from this seasonal annoyance. Certain parts of a car will always experience more wear on Canadian roads. Anyone who has driven through a Canadian spring will know that the constant cycle of freeze and thaw produces some spectacular potholes on the roads. Wheel alignment and suspension are the two areas where this hits hard, with front wheels (first to hit the hole) often exhibiting the most damage. Checking the alignment of the vehicle after every spring is a good way to ensure that those bumps don’t result in long-term alignment issues. A spare tire is essential. The stresses that are placed on a vehicle by Canada’s distances and rugged terrain should also be borne in mind. Long commutes and hilly terrain means that brake fluid, differential fluid and the conditions of brake pads should be regularly inspected, as these elements constantly engage with the dynamic driving environment. Any failure involving these components can be highly dangerous. Stressing brake pad and fluid inspections as a necessary part of your regular check-up is an excellent move. Another vulnerable car part is the vital CV boot, located under the car where the transmission joins with the car wheels. This is usually comprised of rubber, keeping the joint free of moisture, grit and dirt. However, ice grinding under the car while parking and the constant stream of grit being flung up off the road can eventually penetrate this rubber layer. This will compromise the CV joint. All CV boots should be regularly inspected. Additionally, new arrivals from other countries should note that Canadian cars feature the driving position on the left side of the vehicle, but that cars drive on the right hand side of the road. This can shift expected wear patterns on tires, with the usual pattern of wear bring switched, especially with the right hand wheels accounting for wider turns to the left. Bearing this change in mind will help car owners stay on top of their tire conditions. Corrosion damage on car bodies is a real issue for Canadian car owners. 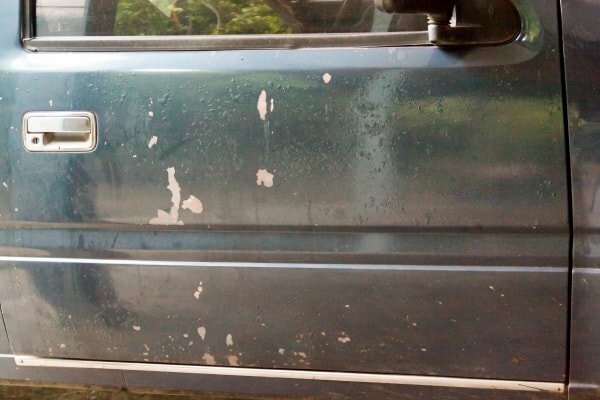 Vehicles located in coastal and high humidity areas will be especially susceptible to rust developing on any areas of the paintwork has been damaged and chipped. However, it’s the corrosive effect of road salt that causes most issues. This salt will quickly mix with snow and slush on the roads to produce a recipe for body rust (this same mix will ruin your nice leather boots). Preventing unsightly rust on a car requires a combined approach. 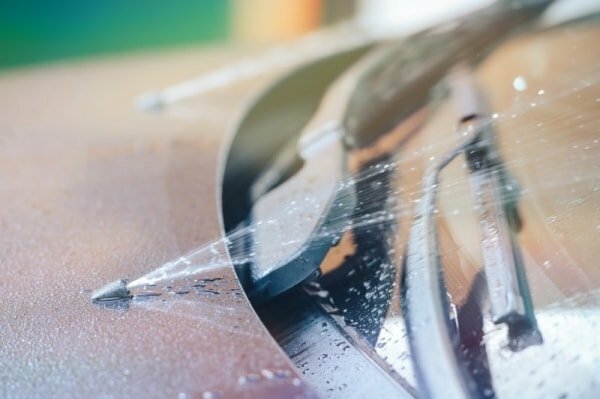 By regularly washing your car, you will essentially remove the salt residue from the surface. Waxing is an even better additional step, placing a protective layer between your clear coat and this rust-producing substance. For those who can, indoor parking or even a driveway tent will pay dividends — protecting your car from the elements and allowing it to properly dry out on occasion. Either of these will reduce the amount of moisture present on the car, which encourages the formation of rust. Should a rust spot develop, a visit to your local professional car detailer or an informed sand-and-retouch process is advised to help prevent the rust from spreading. While the ubiquitous snow brush and shovel are pieces of equipment no Canadian car should ever be without, there are a range of inexpensive but highly effective tools available to help car owners. Freezing rain is a challenge for car owners in Canada. When it comes down in such quantities that the car door is frozen shut, an unlikely tool can come to your rescue. A cordless hair dryer, set to a low heat and trained on the edges of the door will soon have you inside your vehicle. 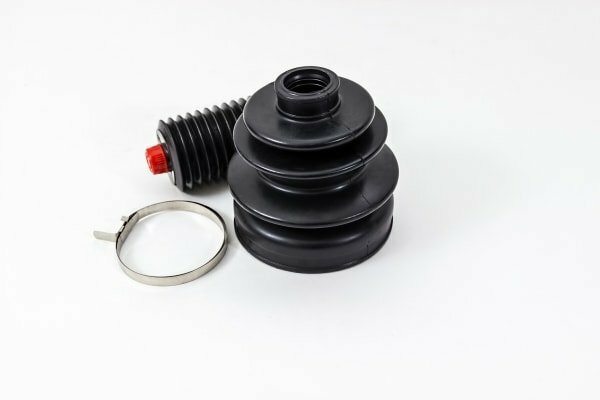 This makes for a safer and easier option than carrying hot water in a slippery environment, and avoids the danger of hot water warping the rubber door seal. Bug deflectors are easy-to-attach strips of vulcanized rubber that are attached to the leading edge of the engine compartment. These are a common sight on Canadian vehicles of all types. This strip creates a ‘wave’ effect, ensuring that the majority of insects that are encountered at speed will be displaced up and over the vehicle by a layer of moving air – preventing an unsightly mess in hot months, and keeping those bugs alive. The hot interior of a parked Canadian car in summer can be lessened by setting up a simple foil shade. This long strip of reflective material attaches to either the inside or outside of a windshield. 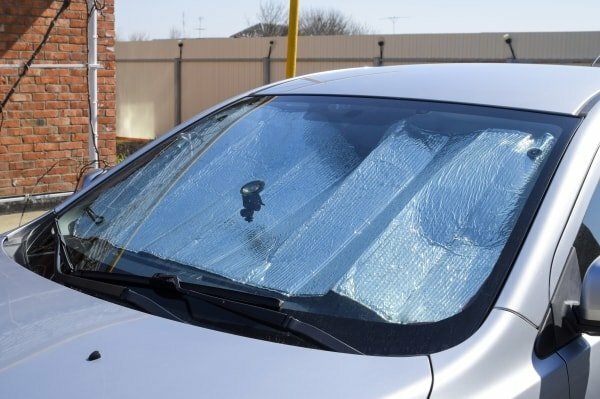 This reflects sunlight, lowering the interior temperature, and reducing the likelihood of unsightly cracking and drying of interior elements, such as leather or dashboard plastic. Combine the above with a usual regime of regular maintenance and car care – and you’ll soon find yourself ready for almost anything Canada can throw at your vehicle.